Terry M. Isner, CEO and leader of Jaffe's Marketing & Branding Division, recently published an article in the National Law Review about the benefits lawyers can reap from creating and sharing engaging content. The article is titled "Why Should Lawyers Share Content with the World?" and was published on April 20. Terry M. Isner, CEO and leader of Jaffe's Marketing & Branding Division, was named by the College of Law Practice Management (COLPM) as a 2017 Fellow-Elect. 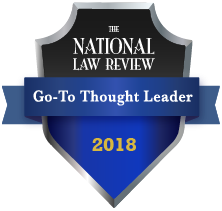 Susan Holmes, Manager RankingsForLawyers™, recently published an article in the National Law Review. Titled, "The Value of Legal Rankings," Susan takes a look at how legal marketers can better assess which of the hundreds of ranking opportunities available to them are worth the investment of a submission. Jaffe is pleased to announce that it ranked in three categories in The National Law Journal's annual "Best of Legal Times" survey. Vivian Hood, Jaffe's President of Public Relations, will be participating in an upcoming LMA Midwest Chicago City Group program titled "PR Tales and Tips from the Trenches." Jaffe is pleased to announce that the agency was ranked as a top law firm consultant by readers of the Connecticut Law Tribune. Jaffe received first place in the category of "Best Law Firm Marketing Consultant" and second place for "Best Law Firm Advertising Agency." This marks the 12th year that the Connecticut Law Tribune surveyed its readers for its annual listing of the top legal vendors in the marketplace. One of the most challenging components of a content marketing program is getting buy-in from your attorneys to ensure the program sustains itself over time.